Mt. Capistrano? Never heard of the mountain before. And when my officemates organized a hike to this mountain’s top, I was more neutral than excited. I even thought of not going. Well, I even decided not to go at all. The moon as we started the hike. at 4:00 AM on January 15. No exercise, not even a minor jog. No warm-ups whatsoever. I was even confident carrying a heavy bag and wearing fitted shorts. But ten minutes of climbing the landform and I found myself desperately wanting to leave my bag behind, among the wet shrubs; not bothering if I’ll still find it when I come back. A quarter of the trek and I did not hesitate wearing off my fitted shorts and have my trick pants instead (I bless the minute my brother persuaded me to bring the pants). 7:58 AM and we’re halfway through. But every step along the trail, we were peeking at the vista there is of the panoramic mountain ranges of the beautifully green Bukidnon (bukid is actually mountain in our native tongue!). That’s what holds us from giving up the climb; the thought of reveling at the top, watching all of the sceneries in full circle, 360 degrees, back-front, left-right. We were slipping along the slope; scratching our hands on sharp edges of rocks; traversing through snake holes. We were literally crawling, with nothing but a rope to hold on and prevent us from sliding down. Before we knew it we were already reciting mantras not only applicable to this hike, but virtually in every aspect of life. So this is what hiking is all about: believing it was all easy at first until you reach that point of giving up. Until you reach that mountaintop. 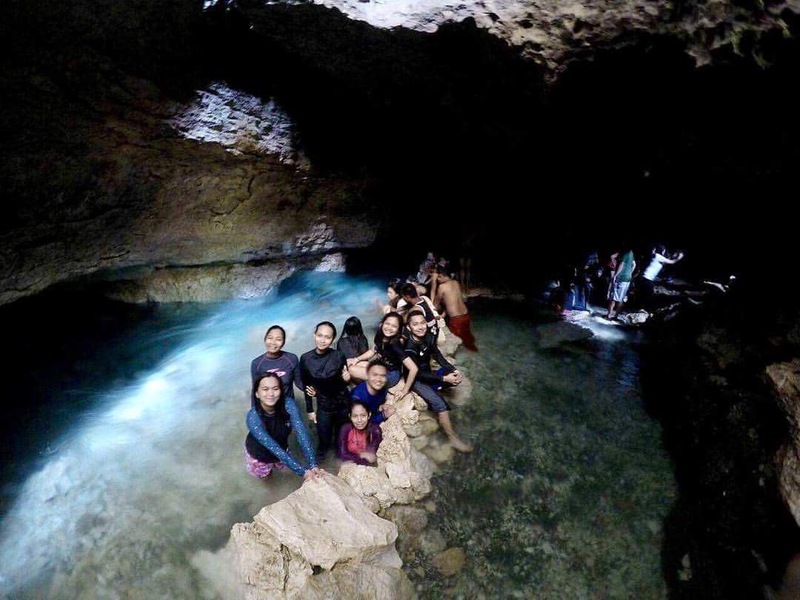 And as if everything is not enough, there’s an underground spring in a cave nearby that can surely relax your cramped muscles. Relax in a cold spring inside a cave nearby!